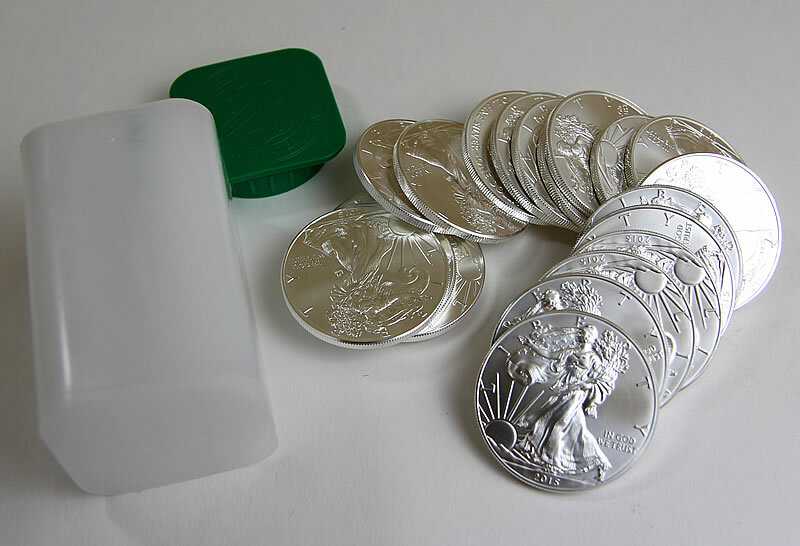 A roll of American Eagle silver bullion coins. U.S. Mint sales of 2019-dated coins open Jan. 7. Most American Eagle and Buffalo bullion coins for 2019 launch Monday, Jan. 7, the United States Mint told its network of distributors. Orders they place on that Monday will be available for pick up by Thursday, Jan. 10, the agency added. Available issues will include 2019-dated gold, silver and platinum coins — specifically, American Gold Eagles, American Silver Eagles, American Platinum Eagles, and American Gold Buffalos. "The platinum bullion coins will be sold on allocation. Whether or not we will need to allocate the gold and silver bullion coins is still to be determined. The availability of a 2019 American Eagle Palladium Bullion coin is still to be determined." 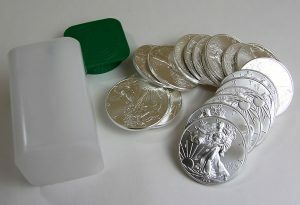 American Eagle and Buffalo bullion coins are sold in bulk through the U.S. Mint’s network of "Authorized Purchasers." AP’s consist of major coin and precious metals dealers, brokerage companies, and other participating financial intermediaries. In the secondary market, bullion coins are usually priced at a few percentage points above the latest value of their precious metal content.